Upon the edge of the Blighted Screed stands the towers of the mad. A priest, known only as the Crow, has bound himself in the fortress where he practices black necromancy to summon the dead from beyond the grave. A servant of powers both great and foul, the priest must be slain in order to free the Blacktooth Ridge of his evil might. The bold know no rest! 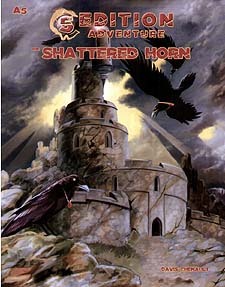 A fifth to seventh level adventure for a party of 3-5 characters. Play as stand-alone or part of a larger series.